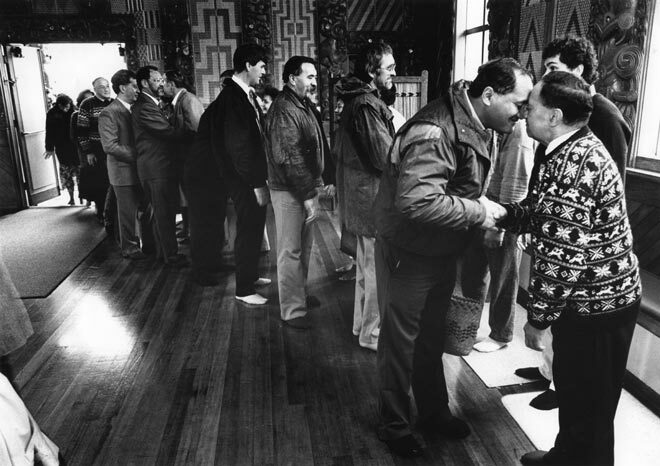 Visitors are greeted by hosts at Waiwhetū marae in Lower Hutt during a hui on Te Ture Whenua Māori Act 1993. At front right stands Te Āti Awa kaumātua Richard Luke. The act was the first to embody the principle that Māori land should, as far as possible, remain under Māori ownership and control.